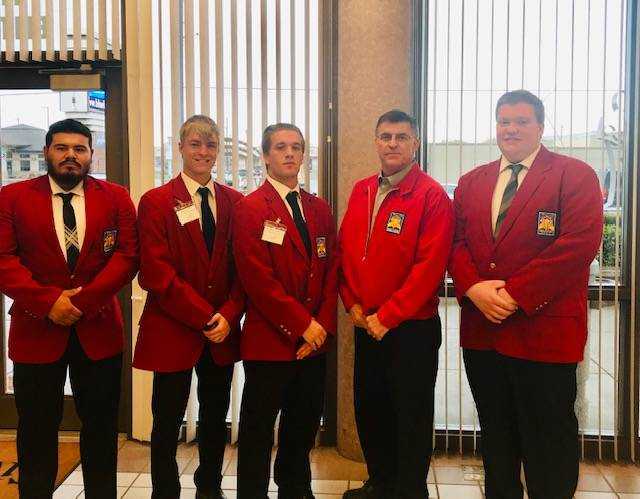 The Mountain Home High School automotive program sent four representatives to the 2019 Skills USA Idaho State Leadership and Skills conference. This competition was held in Nampa, April 4-5. Competing for Mountain Home were Andrue LeVrier, Adam Clifford, Zach Kollat and Jason Landeros. Andrue LeVrier competed in job skills demonstration. His demonstration was replacement of duo-servo drum brake shoes, disassembly and assembly. Andrue spent many hours perfecting this demonstration and was able to perform it backwards so the judges could view it without any interference, while explaining the procedure at the same time! Andrue took home the Silver medal for his performance.